New Austrian Chancellor Sebastian Kurz says his government will fight anti-Semitism in all its forms. New Austrian Chancellor Sebastian Kurz on Wednesday used his first post-election speech to vow to make "combating anti-Semitism in all its forms" a top priority, AFP reports. "We will determinedly fight anti-Semitism in all its forms – those already existent but also imported into our country as an essential duty of our government," he said. Kurz made his vow three days after neighboring Germany's interior minister said that Germany should appoint an anti-Semitism commissioner to counter growing hate speech against Jews and Israel from both its home-grown far right and the immigrant community. Kurz’s coalition includes the Freedom Party, partly founded by former Nazis. The party holds six cabinet posts – including interior, defense and foreign affairs. Israel’s Foreign Ministry said earlier this week it would limit its contact with the ministries headed by the Freedom Party to the professional staff, but Prime Minister Binyamin Netanyahu will maintain direct contact with Kurz. After several incidences of anti-Semitic language in the past the Freedom Party has in recent years sought to build links to the Jewish community. The European Jewish Congress on Monday urged the party to adopt tolerance in relations with Austria's Jewish community as well as all sectors of society. Their call came with Freedom Party leader Heinz-Christian Strache, the new vice-chancellor, having made one of his manifesto priorities a reduction of welfare aid to migrants while he has also stated that "Islam has no place in Austrian society." 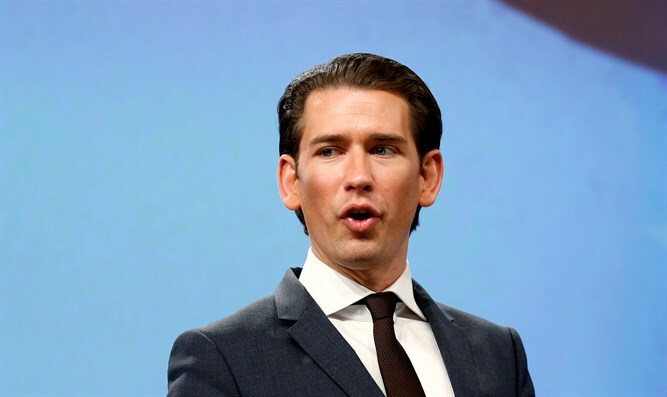 Kurz has meanwhile harked back to Austria's past as the 80th anniversary approaches of the country's annexation by Nazi Germany, urging citizens not to forget "the sad and shameful days of March 1938," when Nazi troops marched in to a rapturous welcome. Previously, the World Jewish Congress (WJC) had expressed grave concern over the rise of the Freedom Party in Austria. WJC President Ronald Lauder said at the time, "It is sad and distressing that such a platform should receive more than a quarter of the vote and become the country's second party." "Like the AfD in Germany, the National Front in France, or Jobbik in Hungary, the FPÖ is an extremist party that panders to racists and anti-Semites and whips up feelings against minorities. It is still full of xenophobes and racists and is, mildly put, very ambiguous toward Austria’s Nazi past," Lauder added.